It must plug into the router. With fibreX (which is one of the install options) there is no ONT. So the pricing - and ability to see the bits that make up the pricing - can be seen on Vodafones website. Short version - its looks just like a rehash of Vodafone TV (or the T-box). 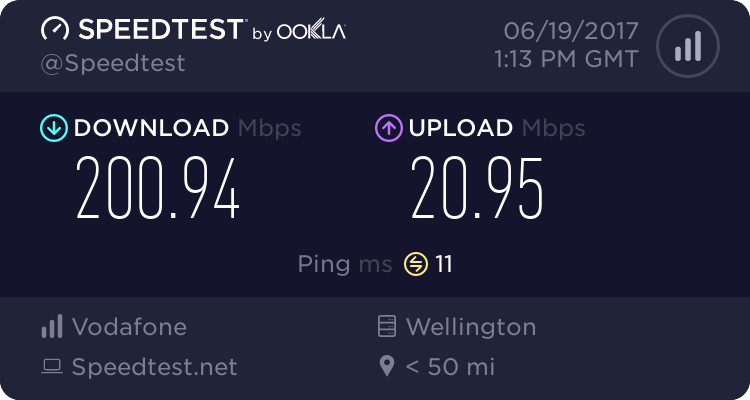 Fibre (standard, not the Smart Connect) at $105/mth (including calling). Sky Basic (200 hrs of recording - with one box and another screen) $45/mth. Add Movies - at the usual Sky price. I didnt see the ability to add Soho but guessing it'd be the usual Sky price. In other words - until the smart services (restart, record and reverse) are introduced there is no real change here. And I'm not going to be ditching my free Sky Sport deal until that expires as there are no real benefits that I can see. So, for $45 you are getting basic, plus ability to record (and their 'go back in time' feature) and HD (wonder if Prime is in HD on these boxes?). Compared to Sky, $50, plus MySky @$15 and HD Ticket if needed/wanted at $10. What about multirooming them? Had a quick look and saw nothing on my scan thru of it. Can anyone with the new Vodafone TV service and the android app confirm if you can watch SkyTV away from home (like SkyGo) or does it only work at home? Thank you in advance...looking seriously at switching from Slingshot. I expect it won't work as you will be outside the vodafone internal multicast network. It may work if you are still on a vodafone I.P? Incorrect, it will work fine. Actually it doesnt specifically state that you can watch livestreams of all channels on other devices. If you are pausing something, then i would assume when you resume it on other devices then it will be streaming it from the cloud. Watch TV, schedule recordings and check out what’s on with the Vodafone TV app. On selected content you can pause TV shows, sports and movies on your television and continue watching them later on your smartphone or tablet. I jut received one of these and happy to respond to any questions. It replaced my TBox which supposedly had 57000 hours. I connected it to the hg659 LAN port and not the dedicated lan required for the TBox. I can't find 'favourites' and my Teclast tablet (Android 5) will not run the app (security error MG004). I have not trued any other devices. There are lots of repeat options with most programmes available for up to 3 days after broadcast. It said it found 87 channels - I haven't bothered to count them. I got a discount on my current TBox pricing but renewed the contract for yet another 12 months. I also programmed in my Logitech Harmony remote - had to manually load the settings but it works well. HDMI sound is dolby digital and picture looks improved compared to the TBox. All in all I am very satisfied.